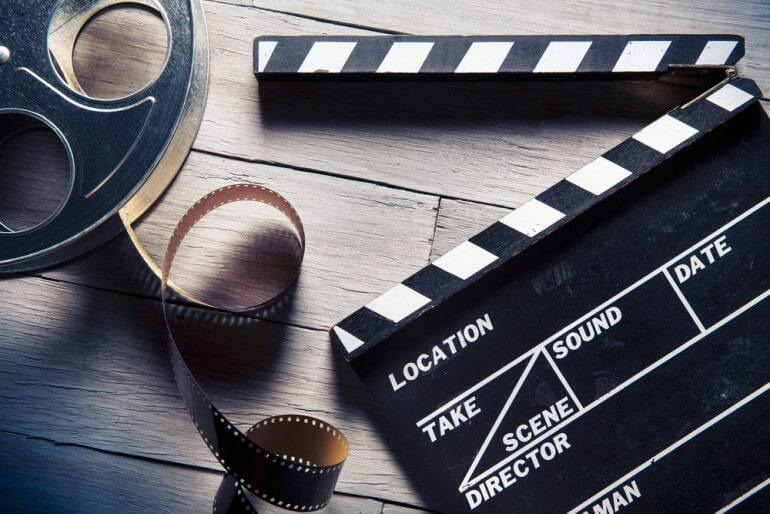 As is the case with many sectors, the film and TV industries are becoming increasingly globalised in the modern age. More and more films and TV series are being submitted for translation, and as the modern consumer expects work to be released in their native language almost simultaneously to its original language release, the pressure for translators to work quickly is building. However, the job of the film translator is not only to translate the content but also to ensure that the audience can enjoy the film. Localisation therefore plays a vital role in the process. In order to successfully translate and localise a film or TV show, it is imperative that the translator first understands the cultural perception of the target audience. Objects and ideas hold a variety of symbolic meanings in different nations, so it’s important that the connotations of colours, foods and animals, amongst many other things, are taken into account before undertaking a literal translation. The new Disney Pixar film “Inside Out” displays a great example of localisation for the Japanese market. In the original US version, the young girl Riley is shown getting angry with her parents when they try to feed her broccoli for dinner, but Japanese children don’t seem to hold such a negative opinion of the vegetable. For this reason broccoli was replaced by green peppers, which are generally considered disgusting, to accommodate the cultural discernment of the Japanese audience. Similarly in the Lithuanian translation of “Garfield”, the chubby cat’s favourite dish, lasagne, was substituted with the far more popular Kugelis- a Lithuanian potato dish. A literal translation of “Cloudy with a Chance of Meatballs” may not have gone down too well with an Israeli audience, and so the film was translated “It’s Raining Falafel”. This can seem rather comical to a westernised, English-speaking audience, but localisation of this kind is entirely appropriate when marketing your product overseas where there exists an alternative cultural background. Popular kids TV show “Sesame Street” has undergone some significant changes in the name of localisation. Whilst “Big Bird”, the show’s principal figure, proved well-loved by American pre-schoolers, executives weren’t convinced the character would have the same appeal amongst foreign children. In Germany this persona became a bear, in Poland a dragon and in India a vegetarian lion! Another largely successful method for selling your film or TV show to an international market is to use actors who are already hugely popular amongst your target audience. In “Ice Age” the role of the sloth was voiced by famous comedian John Leguizamo, which proved to go down well with the American audience, whose culture the comedian understood and could make comical references to. As part of localisation when dubbing the film into German, local comedian Otto Waalkes was employed, who proved able to do for a German audience what Leguizamo had achieved with the US demographic. For example, Waalkes made the sloth “more German” by yodelling. The well-known comedian also led the ad campaign in Germany, attracting the audience he had already acquired for himself to the film. The 2005 UK film remake of “The Magic Roundabout” enjoyed a reasonable reception. The name was already established among a British audience and the film showcased the voices of numerous acclaimed celebrities. The film’s release in the US the following year required some significant localisation. As the previous TV series was little known in America, the original title “The Magic Roundabout” didn’t bring anything to the marketing campaign, and so the film was renamed “Doogal”, after the lead character. The majority of the voices were re-dubbed by celebrities more familiar to a US audience. Even Kylie Minogue, who retained her role in the US version, re-voiced the entire film putting on an American accent. A crucial aspect of overseas marketing and localisation is to ensure that you don’t offend your audience, as well as navigating your way around any potential censorship issues. Disney did this very skilfully with the release of Iron Man 3 in partnering with Chinese film production company DMG Entertainment Group, meaning the film received greater access to the country and additional benefits, as it could almost be considered domestically Chinese. Also with the Chinese version of Iron Man 3, Disney carried out extensive localisation; the film includes an additional 4 minutes of footage to allow for the inclusion of filming locations in China, as well as the appearances of Chinese actors, including beauty queen Fan Bingbing and superstar Want Xueqi. One of the James Bond films, “Die Another Day” encountered drastic criticism in Korea as a result of neglecting localisation. The film featured South Korean farmers using oxcarts, architecture that appears more Japanese than Korean, and a Buddhist temple as the backdrop for a love scene, as well as the CIA playing a role in commanding the Korean military and Korea’s “rescue” by the all-conquering Americans, none of which won the favour of the authorities. Translating cultural references is perhaps the most difficult aspect of localisation, but it has been done with great success. 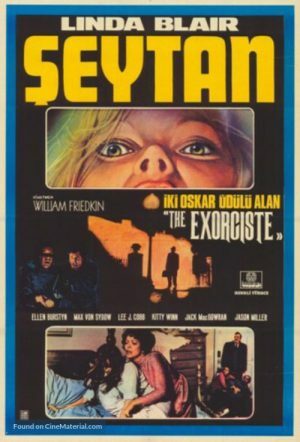 In the 1970s a Turkish version of “Exorcist” was filmed. It was almost a shot-for-shot remake of the original film, only Catholicism was replaced with Islam to allow the Turkish audience to better identify with the film’s setting. Returning to “The Magic Roundabout”, writer Butch Harman rewrote the storyline for the US version in an attempt to accommodate multiple pop culture references. Another Japanese shōjo manga series is “Sailor Moon” by DIC Entertainment. When translated the producers made an effort to incorporate the use of slang, and also flipped the animation to show cars driving on the “correct” side of the road. It is undeniable that localisation is essential to translation projects for the film and TV industries, amongst many others. Understanding the cultural climate of your audience and reaching out to them effectively in ways with which they will feel comfortable is arguably just as important as translating the language itself. In a world driven by consumerism, meeting the needs and desires of the consumer is key; the modern market requires not only the translation of a product, but a translation that the viewer is able to enjoy.